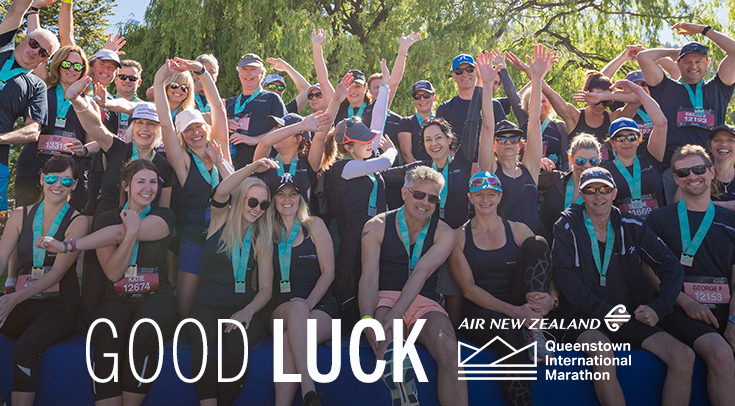 Queenstown International Marathon race day is fast approaching! New Zealand Sotheby's International Realty strongly encourages staff health and wellness and will have a 30-strong team of employees competiting in the Half Marathon and 10KM events. Look out for our blue shirts on the course. We're also proud to have our Athlete Ambassadors defending their 2017 Half Marathon titles. We wish them good luck! If you want to read some of their inspiring stories, visit our news page. 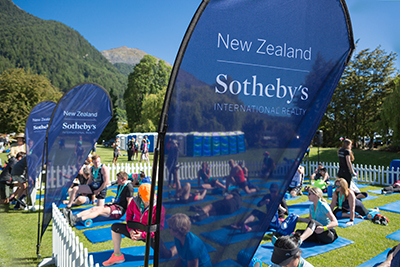 Ease your post-race muscles at the New Zealand Sotheby's International Realty Stretch Station. Personal trainers, yoga mats and equipment will be on hand to help you warm down. Guests at the Strech Station can even pick up a massage ball to take home. Win two nights accommodation in the luxury Atanga House, Queenstown courtesy of Luxury Rental Homes. Visit marathon.nzsir.com enter your details, including your race number, for your chance to win. Ts and Cs apply.